The holiday season is here with all the wonderful family dinners and entertaining. 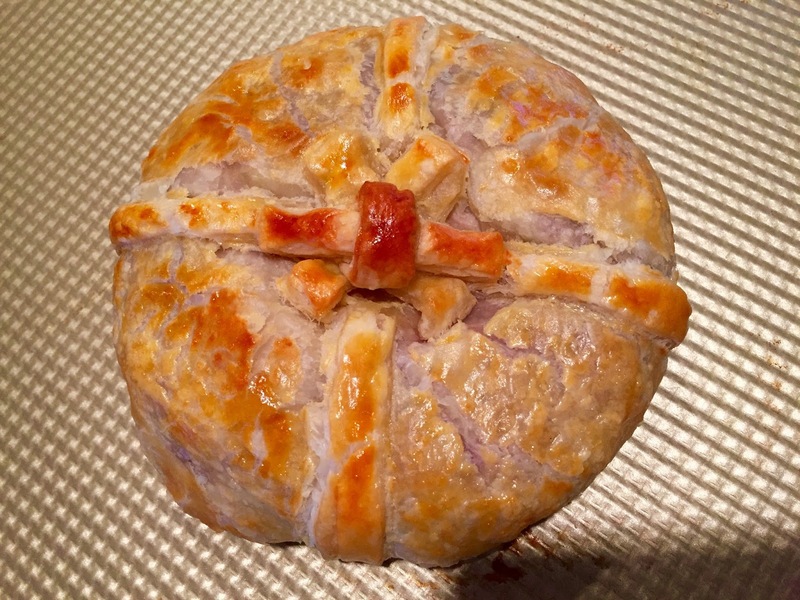 I love to make brie a little more fancy by baking in puff pastry. Purchased puff pastry is so easy to use with wonderful professional result that anyone even a beginning cook can wow their guests. I like to make different spreads for my baked brie, sometimes sweet and sometimes savory. 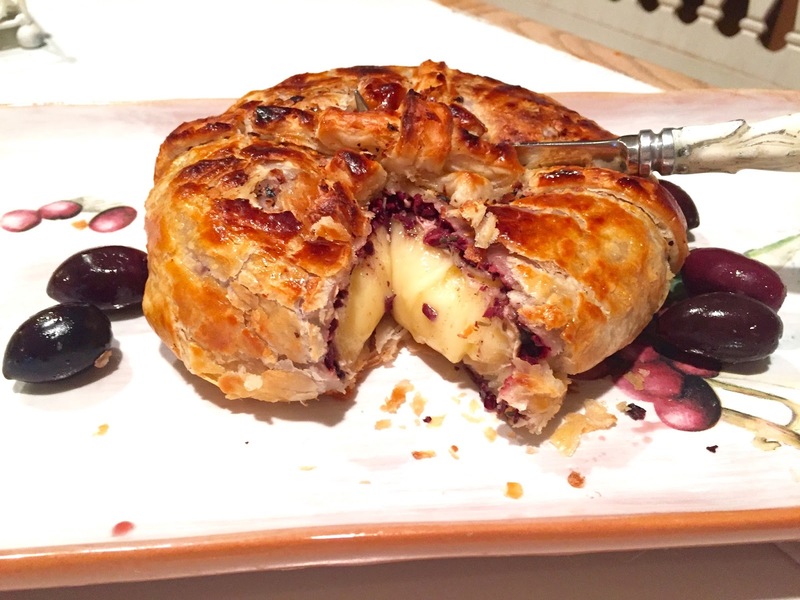 If you love olives this is your baked brie. You can either make your own olive tapenade, you can find the recipe below or save time by purchasing store made tapenade. Decorate with slice olives creating a delicious tasting, easy, appetizer. Thaw the pastry sheet at room temperature for 20 minutes. Preheat oven to 400 F. Mix egg and water. Unfold pastry sheet on lightly floured surface. Roll into 12″ square. Cut pastry to make a 10 inch circle. Spread olive tapenade spread to within 1 inch of pastry edge. Place cheese round on top. Brush edges of puff pastry with egg mixture. Fold two opposite sides over cheese. Trim remaining two sides to 2″ from edge of cheese. Fold these two side on the Brie. Press edges to seal. Place seam side down on baking sheet. Decorate top with rolled out reaming pastry to decorate like a holiday package. Brush with egg mixture. Bake 20 minutes or until golden. Let stand 1 hour. Serve with crackers. In mini food processor, combine olives garlic and process until olives are from a spread. Add oil, capers and herbs de Provence. Process until blended.